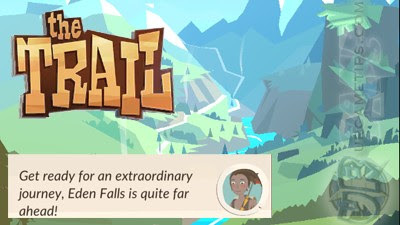 Here's a quick walkthrough guide and tips for beginners playing "The Trail" (Android and iOS mobile game). Should I Pick Up All Items? - Yes, as long that your bag pack can handle them, but mainly focus on quest items and materials for crafting. Check crafting menu for more details. - Tip: Instead of using Drag and Drop, you can "Flick" the items up or down. - Once You reach Whispering Down, you'll be given 4 paths to choose from. - You need all 4 Paths for many reasons, so to cut things short here's a list of quest recommendations that you might want to consider completing before your reach Eden Falls. - Your main focus is to complete these quests. - Trader > Sheriff Vest Recipe (Once you receive this quest, complete White Mountains Region then reach Misty Redwood (Sequoia Glen Region) to find Sequoia Cones. - You should have reached Eden Falls at this point. - End of Part 1 Quick Walkthrough Guide Quest List. - Once you reach Wind Crest campsite, you can now freely craft what you like. 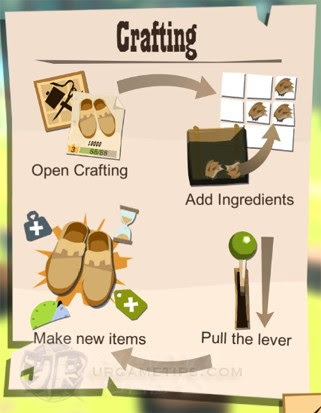 - While on the trail, check the Crafting Menu to see what you need to craft next. - Note: You can also buy tools, gears or crafting materials from other traders. - Every time you reach a campsite, craft all available items. 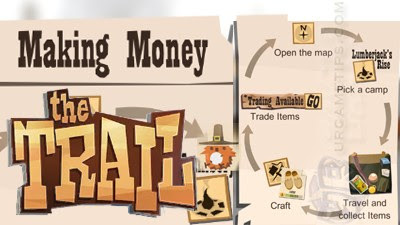 - Sell items and gears that you don't need to traders. 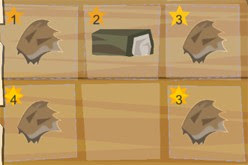 Focus on Wooden Carvings and Toy Birds, and increase their Lvls to earn more Chits. - Always use the "Watch Video for 2x Chits" option to double your earned Chits for that trade. - This will also help you get more quest items from "Top Trader" Gifts! - Try to carry an Axe and/or a Slingshot with you all the time. - Replace worn out gears (durability about to turn red). Check your Wardrobe Menu if you need replacements. Never go on a trail with a RED Worn Out Gear [Repair Icon is present], because you'll lose more Stamina while trailing. It is best to pre-craft items to avoid getting stuck for a while. - Leveling up your Tool and Gear Recipes will increase their overall performance, so craft them whenever you have the materials needed. - Crafting materials have their own qualities, higher and brighter Star Numbers means better quality. So switch your items in-case you have a better one. 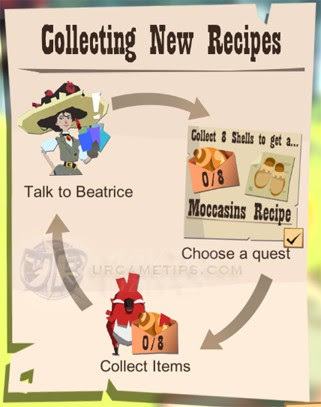 - Once you reach Forest Approach, Beatrice will introduce you to Teng Fei that will give you free 10 Favours (in-game premium currency). - Just buy the featured Hide Bag or the Mystery Box. You can also force close the game to save it, your choice. - Note: You can obtain free Favours from the Daily Rewards. - Congratulations! You just reached the 2nd region - The Pine Fields! - At this point, you should now have completed at least 4 Quests above. - Optional: For the upcoming quests, if necessary, use the Map to re-run specific trails. - From here on, watch your Energy. Eat some food to restore it before you collapse. - Any Food will do: Tap+Hold on the item then select the consume option. - Examples: Apples (drops from chopped Trees too), Apple Juice, Juniper Berries, Sweet Chestnut, Raw Meat (drops from Rabbits), and many more as you go. What Happens When My Character Collapses? 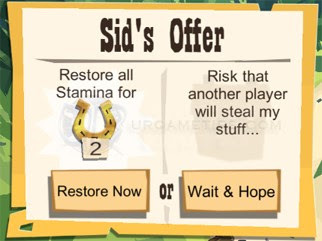 - If you choose to stay put, items will continue to drop until all hearts are full. After that, you'll be able to continue your journey and pick up all the items. - TIP: If your character fainted, do not accept the notification, instead, just open your bag and use your Food until all Hearts are full or at least almost full. If sucessful, your character will get up and no items will drop. - Congratulations! You just reached the 3rd region - The White Mountains! - At this point, you should now have completed 8 or 9 Quests above. - Normally, you can get a lot along the way, but just in case, stack at least 2 Food items from camps before continuing (buy from Traders or craft them). - Using higher tier gears will also increase your character's number of Hearts. - Once you are able to craft and use this bag, you may now start stacking similar items to save space! Just place them close to each other and they will automatically merge together. - Tip: For your extra Pocket slots, use them for stacking food. - This item gear has a good value when sold, so craft them too as you go. - Congratulations! You just reached the 4th region - The Sequoia Glen! - At this point, you should now have completed 13 Quests above. - Proceed to Misty Redwood to find Sequoia Cones for your Sheriff Vest Recipe quest. - From here on, you'll start to encounter higher tier crafting materials, new items, Birch Trees, and Beavers along the trail. These new items will be used for upgrading your house later. - Start collecting Flint Pebbles and Birch Sticks for your Hatchet and Advanced Slingshot. - Select a town that has a decent name and a number of houses or plots. Some towns only have 5 plots and others have as high as 20. Select a town that has at least 10 plots total with all 5 professions present. How to Select a Town? - Upon entering the town, your guide will prompt you to buy an empty plot. Don't do it, if you wait long enough, the town you are in will get refreshed. - Note: Even after purchasing the plot under the Town name that you like, you'll still be taken to a random town and profession...not sure if this is a bug, or maybe because someone purchased the plot before you. - Tanner, Blacksmith, Stonemason, Carpenter, and Weaver. Choose any profession that you like, depending on the available plots. I think it's ok to choose any Profession, since all of you within the Town will be helping each other anyway. Is It Possible To Transfer to Another Town? - With the new update: "The Stagecoach" building - You can now move to another Town or become the founding member of a new Town! your profession). You can gather them around Eden Falls area, or get them from trades, top trader gift, or ad girl Annie. - Place the items needed on the machine inside your house, to create upgrade materials. - Warning! : Other players can also take your upgrade materials, so keep them once it's done. - Note: Once your house reaches a certain Lvl, you are now required to use the machines of other houses to produce other materials needed for upgrading your own house. - In case you want to take some finished materials from your neighbors, it's best that you replace them too with some raw materials. - Shared Shelving: Only buy and if you want to help by sharing items to your neighbors (place free stuff here for them to grab). - Private Chest: You can store any items here, especially newly crafted items with long cool-downs. Add more if needed. 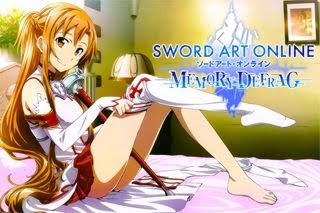 - Items with extra effects, especially Stamina Drain -%, and Crafted Items +% Quality. Others are optional. - Consider the space they will occupy and their bonuses. To check, select "Buy", but don't move the furniture (it will not be purchased until you move it on a green lited area). - Try to upgrade your House to Lvl 4 and purchase all recommended furnitures including 1 Luxury Bed before reaching the Buffalo Range Region. 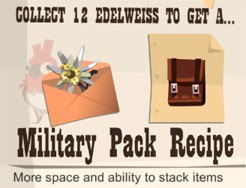 - Add items to crates with other townsfolk to earn Chits and Gold. The town that earns the most will win special prizes (rival towns will be randomly generated). But remember you can only fill one crate at a time.